Its pretty simple… if your injured, training will either be halted or radically impaired till you mend the injury. This is why it’s important to train smarter in such a way you don’t cause injury to yourself or others. Remember having injured teammates means less people to train with. In the heat of sparring its easier said than done and you may ask what are some things to consider then? Well, here are some tips on training effectively to prevent such injuries. – Know your body and signs of potential injury to sore areas. There is a difference between a good sore and bad sore. If you just did a chest work out the day before, your muscles will be damaged and sore… and in a recovering state but this sore isn’t necessarily a sign to not train. However if you were rolling hard the day before and you notice your lower back just doesn’t feel rite… this is probably a sign to take it easy. – Perform a solid warm up and stretch before you get into intense training. This is pretty straight forward and most of us know how to do this… but often neglect. Our gym has a specific warm up and stretch routine and a lot of guys, especially us older guys, come in a bit early to get that extra time in. – Don’t resist submitting to your opponent and live to fight another day. No real explanation needed. – Unless you’re getting ready for a serious competition and its a month or more out… don’t train like your entering the Pan Am Black Belt division every class. Intensity is a great thing to exercise in practice but training in a aggressive manner can cause injury to yourself and others. Remember it’s the gentle art. – Ensure you have plenty of room between sparring partners and have situational awareness. No one wants to get rolled on by the 250lb brown belt. – Keep hydrated. Keeping plenty of fluids in your body will prevent cramping up and is all around better for your bodies performance. Once again, pretty simple but often neglected. 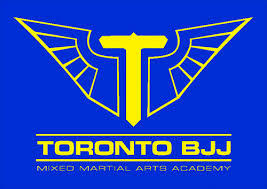 – Not necessarily an injury but will surly keep you off the mats and hinder your health, your SKIN HEALTH. Cuts and scrapes are fairly common place in our sport and some of us, if not all, can be prone to developing certain skin infections such as ring worm. Know the signs of the different infections and when in question always consult with your health care provider. – Make flexibility training part of your program. Increasing flexibility and extensive stretching may lower the chance of muscle, ligaments, and tendon injuries. And the added bonus is flexibility will increase your Jiu Jitsu game on a number of different levels. Try setting up a program with your personal trainer or joining a yoga studio. I hope you have enjoyed this article and please feel free to comment or ask any questions you may have. Roll Safe. 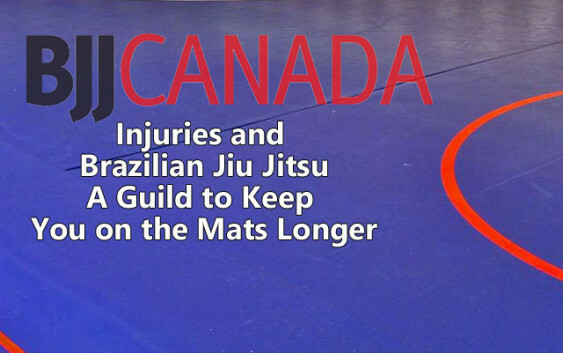 *This is by no means an extensive list of everything you should consider to avoid injury when practicing BJJ and is just a guild line to potentially lower the risk. If you every feel your body isn’t feeling rite, always visit your doctor for a professional opinion.